TRC, is a full service manufacturers' representative that specializes in both benchtop and fully automatic 3D solder paste inspection systems and 3D AOI for printed circuit boards. Technical Resources Corporation, or TRC, is a full service manufacturers’ representative that specializes in both benchtop and fully automatic 3D solder paste inspection systems and 3D AOI for printed circuit boards. 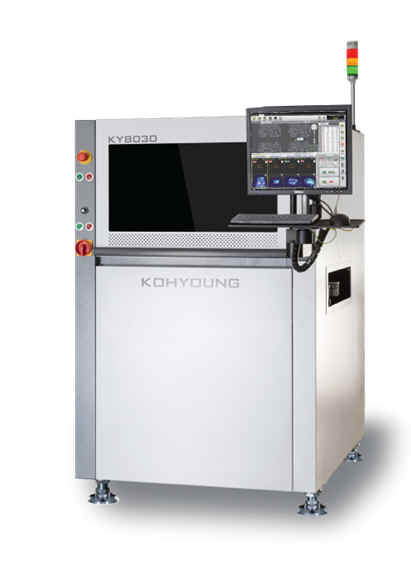 The KY 8030-3 inspection systems take the parametric inspection approach, in which the systems derive inspection results strictly based on the measured values of several parameters for each individual solder paste deposit. This allows any operator to program the system in less than ten minutes by setting up only inspection conditions. 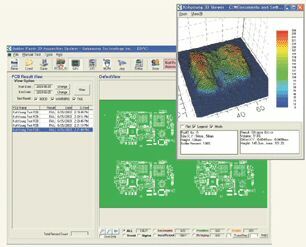 Based on the 3D geometrical measurement data of each ROI (Region of Interest) on the PCBs with the solder paste on them, the 8030-3 is capable of detecting not only insufficient, excessive solder pastes, and shape deformity errors retaining 3D characteristics, but also cases of no paste, bridging, and position errors with 2D characteristics. 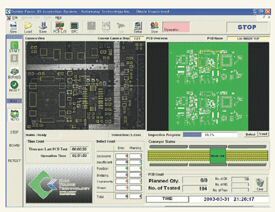 Most inspection equipment in the SMT field has taken the golden board inspection approach. The approach requires a large library of sufficient amount of image data that needs to be built during the programming stage. The data includes images of solder paste on pads considered exemplary by operators. During real-time inspection, the equipment inspects each object and concludes whether it matches the images in the previously developed library. Thus, developing such a library requires much time, effort, and knowledge. All kinds of defects from screen printing processes can be detected through 3D inspection, which includes not only insufficient paste, excessive paste, shape deformity based on 3D volume and shape measurements, but also cases of no paste, bridging, and placement error. 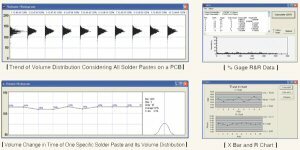 3D shape diagnosis data are provided for customers to identify a specific set of solder pastes with normal volume but potential shape deformity. Technical Resources Corporation also represents Speedprint Technology screen printers, Universal Instruments’ pick and place machines, Kurtz Ersa selective soldering, wave soldering, reflow and rework systems, GPD Global Precision Dispensing systems, KIC thermal profiling systems, Henkel Technologies‘ solder chemistries, adhesives, conformal coating materials, FlexLink laser markers and conveyors, Takaya Flying Probe In-Circuit test systems, Pentagon EMS process carriers, Specialty Coating Systems Spray Coating & Dispense Systems, Aqua Klean Systems in-line cleaning systems, Nikon Metrology 3D X-Ray and CT Inspection Systems, Checksum In-Circuit and Flash Programming and LPMS USA low pressure moulding systems..